CPS Energy employees stuffed the bus! To help ensure local students were ready to give it their all on the first day of school, CPS Energy employees helped Communities In Schools ‘Stuff The Bus’ full of much needed school supplies. A nonprofit, United Way funded agency, Communities in Schools aims to help at-risk students stay in school. It serves 7,000 students from kindergarten to high school in 70 schools in Bexar and Atascosa counties. “We could not achieve so much without great community partners like CPS Energy,” said Ilsa Garcia, Communities In Schools’ volunteer manager. Employees had three weeks to bring in new backpacks, folders, notebooks and other supplies to various locations around CPS Energy’s headquarters and other locations. This former bread truck is filled with school supplies, soon to go to kids across Bexar County. 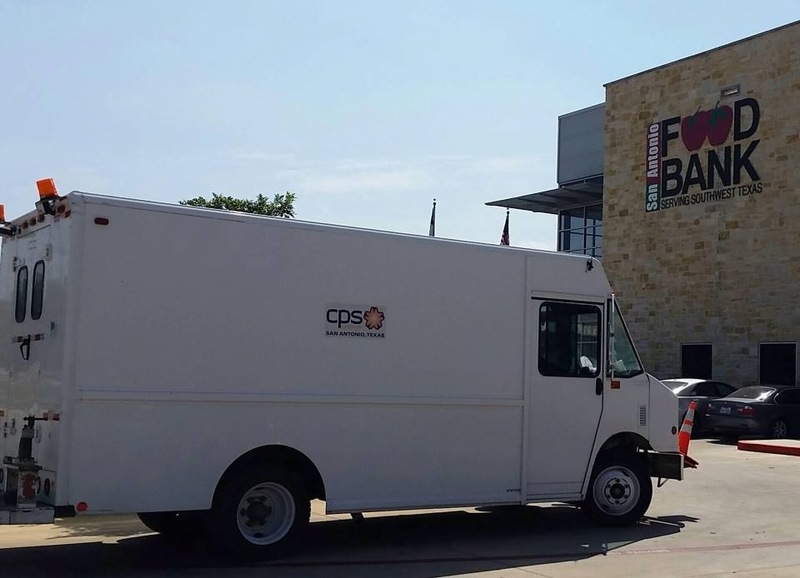 Those supplies were then loaded into a former bread truck owned by CPS Energy and delivered to the San Antonio Food Bank. The food bank weighed the donated school supplies, sorted then delivered to children in need. Communities in Schools says gathering supplies is important, because students who don’t have the necessary school supplies can become frustrated and have a difficult time in class. On Sept. 9, all the community partners who participated will gather for a ‘Stuff The Bus Reveal Party,’ during which Communities in Schools will announce this year’s top supporters and reveal the value of each team’s total collection.